2. 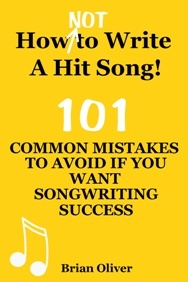 There’s no set way to write a song – just write about something you’ve experienced first-hand. 3. Always pay attention to your surroundings in case you overhear a great idea for a phrase or a title. 4. Be a student of songs – always be prepared to learn. 5. Write from the heart and don’t try to fake it. 6. Get into the habit of writing something every day. “If I had to give up everything else, if people said you can only do one thing, I’d just write. I’d say, ‘Well then, I’ll just be a songwriter.’ Because that’s how I express myself. That’s my time with God. “My guitar is like my best friend, and my songs are like my therapy … Some days I’ll write four or five songs. Some days I’ll just write one. They’re almost always spinning in my head.